If you're considering holding your next event in Europe or the Caribbean we have some very good options. Spain and Dominican Republic could become your favourite destinations as the attendees will enjoy the event while also having a wonderful time. Or if you’re attending a function close to our one of our hotels you can stay with us and we’ll treat you like you were at home: you won't want for anything! We have centrally located hotels and ones close to the exhibition grounds where your event is being held. 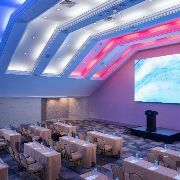 For agencies and business events we present our best selection of rooms for congresses, conventions and business meetings. From assembling corporate events through to more informal meetings, at Catalonia Hotels & Resorts we will attend you hands-on to ensure everything runs smoothly. We can advise you on making your day the success you deserve. If you want to organise a congress, convention or business meeting, such as a trade fair, work meeting, training or teambuilding event, product presentation, showroom, celebration, thematic party, forum, Christmas dinner...we can be your partner. The Catalonia Barcelona Plaza event hotel has over 1,500m2 of space allocated for meetings, celebrations and conventions. The 11 fully renovated rooms are fitted with the latest technology and have excellent-quality free wifi; there's a car park in the building and terrific connections with all means of public transport. 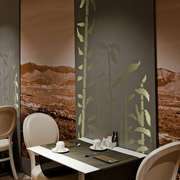 The hotel also boasts 3 restaurants: the Filigrana, with market cuisine and grilled dishes, a Japanese restaurant and Gourmet Corner, with a daily set menu. 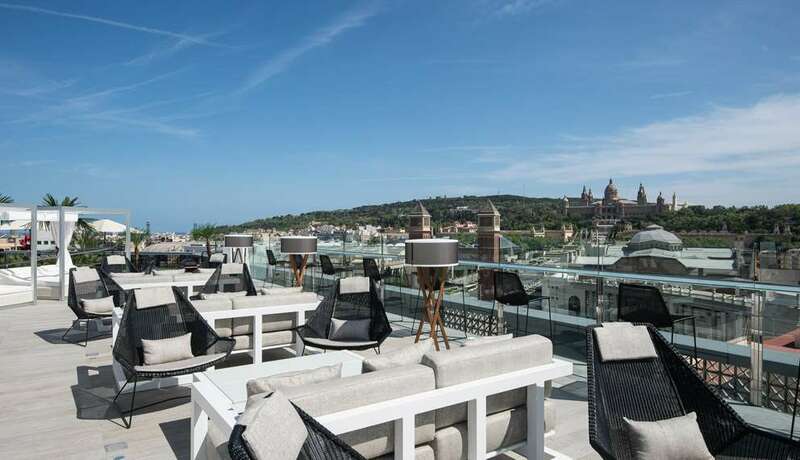 At the Catalonia Plaça Catalunya hotel in the centre of Barcelona, fashion and digital businesses, NGOs and schools have trusted in us to hold quarterly talks, training events and product presentations. 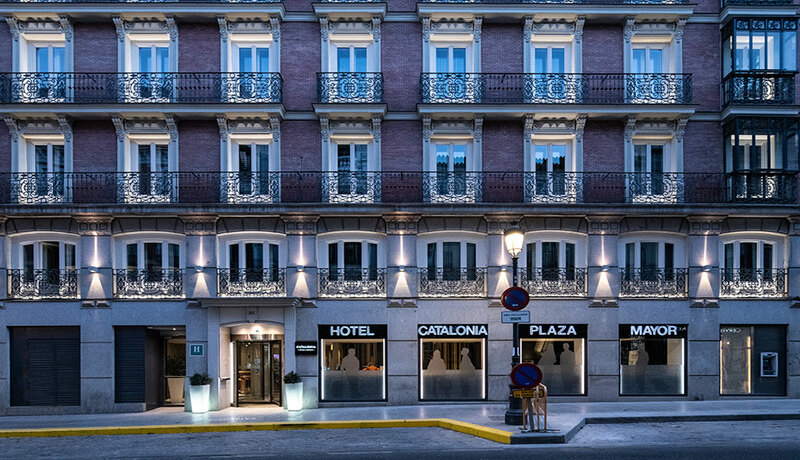 Close by this hotel is the Catalonia Ramblas , perfect for medical and fashion sector events or conventions, with a theatre for 500 people. The Catalonia Reina Victoria hotel in Ronda, built in a Victorian style and renovated in 2012, is located in this wonderful, magic city considered a MICE destination of the highest order. You can choose from among four rooms with seating for up to 250 people and have the coffee break or lunch in beautiful scenery with stunning views over the Tajo de Ronda gorge. We can also organise a series of local activities in Ronda that will round off your experience over some magical days. The Catalonia Plaza Mayor Salamanca, in the city of the same name, has meeting and congress rooms and can host a large number of attendees for other events in this beautiful city. 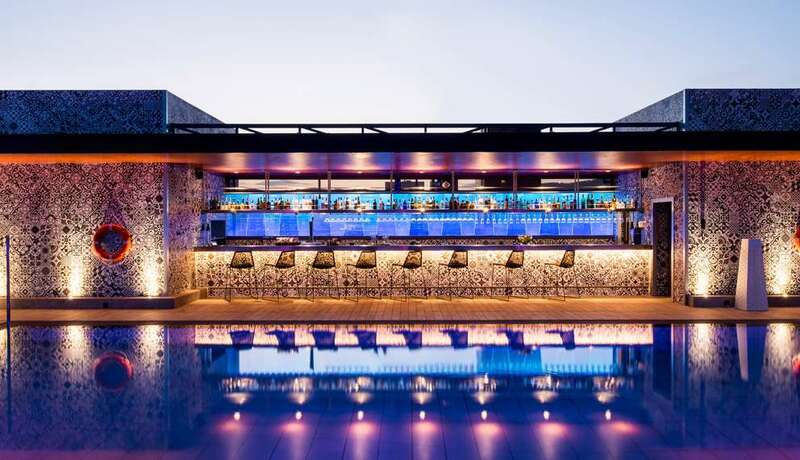 The reference event hotel in the Caribbean is the Catalonia Santo Domingo. Designed with 1,150m2 of space for your functions, it stands on the waterfront in Santo Domingo, enjoying stunning views over the Caribbean Sea throughout its 21 floors. 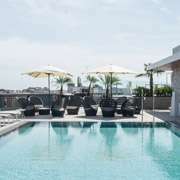 This fantastic hotel is situated in the upper area of Barcelona, next to Park Güell and the Science Museum. It has an interesting restaurant where guests can enjoy tasty international cuisine and 4 large rooms for organising all kinds of events. 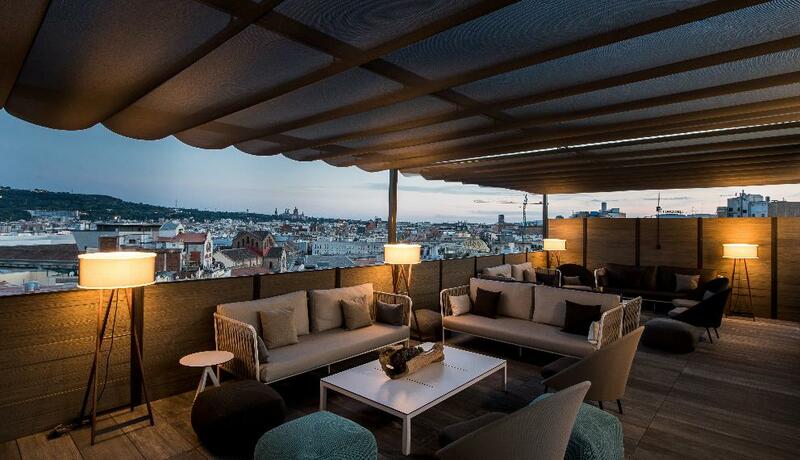 It is also well connected so that guests can enjoy the city of Barcelona from every viewpoint. 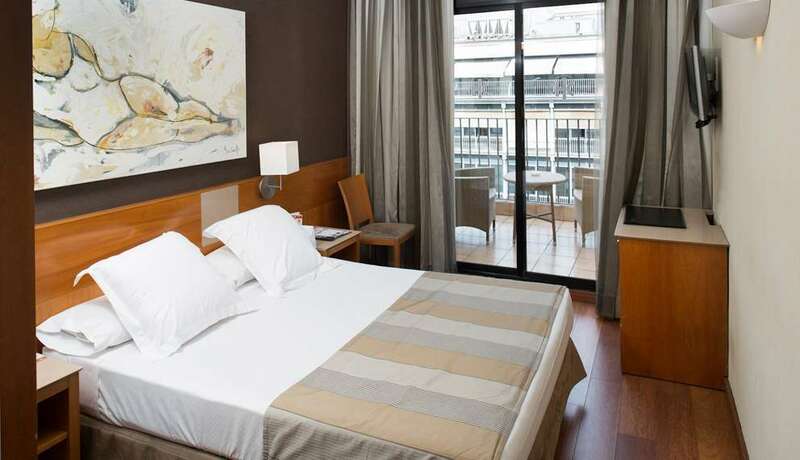 The hotel Catalonia Barcelona Plaza is situated in an emblematic building on Plaza España. Its most outstanding feature is the clock on the facade, which is part of the glass window of the Reloj (clock) suite. The hotel's location offers wonderful views of Plaza de España, the Fountains and the Palace of Montjüic. It is also only a few metres away from the Fira de Barcelona facilities. Our hotel has been designed to provide you with maximum comfort. We receive our guests with a large reception area and a spacious hall. 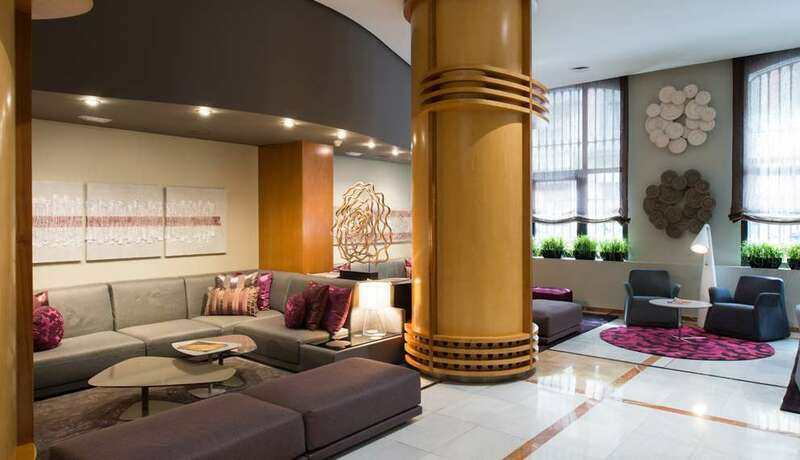 Our common areas have been elegantly decorated. 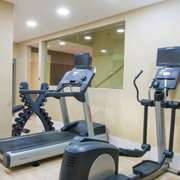 Furthermore, the rooms have been designed to offer you maximum comfort. The suites have been fully refurbished and all offer beautiful views. Special mention must be made of the Reloj suite, a unique room with two floors, where the clock on the facade of the building is part of the room's decoration. 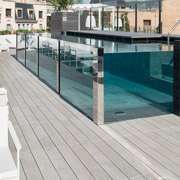 We also offer an outdoor swimming pool located on the upper terrace, which offers incredible panoramic views of the city. 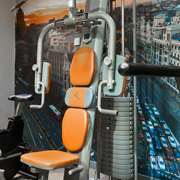 In addition, if you want to keep fit, you can use our gymnasium. We also have an interesting restaurant, cafeteria and piano bar, spaces that have been designed to offer you good service throughout the day. Our gardened marquee is situated in the hotel's central courtyard and is ideal for dinner parties and cocktails. 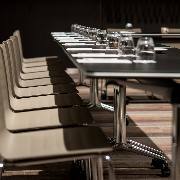 At the hotel Catalonia Barcelona Plaza, we'll offer you everything you need to guarantee the success of all the business meetings and corporate events you hold on our premises: meeting rooms that are fully equipped, the business area and our parking facilities. All rooms of hotel Catalonia Catedral have free Wifi, A/C and heating, minibar, safe with plug-in capacity, parquet floor, phone, TV, Nespresso coffee machine, facilities to prepare tea, bathroom with shower or bath with complementary amenities and hair dryer. 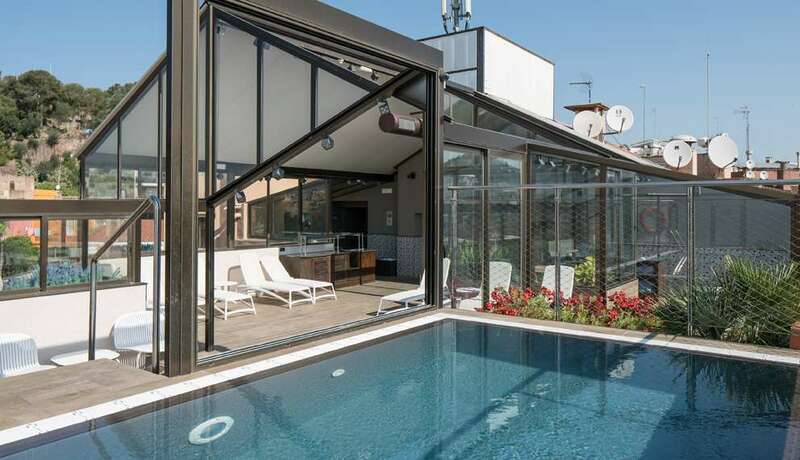 Go to the swimming pool and appreciate the beautiful architecture of Ciutat Vella while enjoying a fresh bath and the sun of Barcelona. There is also a parking near by. 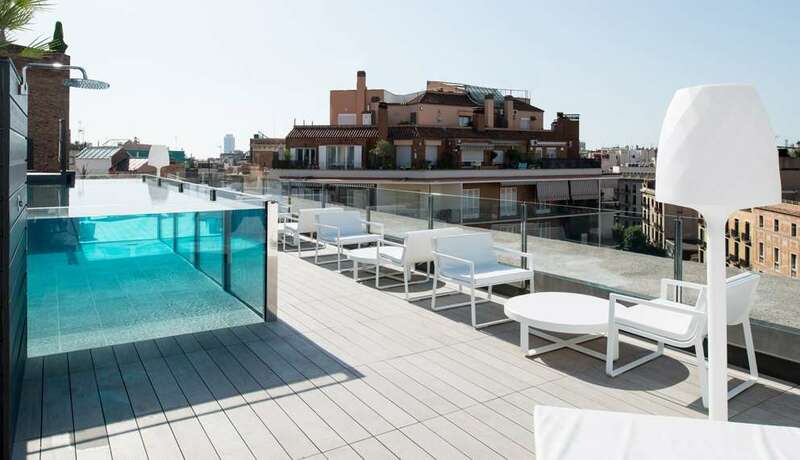 The hotel benefits of an unbeattable location in the heart of Barcelona, between Plaza Catalunya and the Cathedral, right next to the Barrio Gótico and the famous Ramblas. 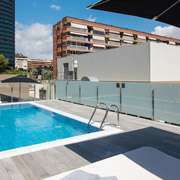 Its central location in the middle of the historical and commercial center contrasts with the quiet and confortable athmosphere created in the hotel Catalonia Catedral. You are just one step away from the Boquería Market and the Liceo Theatre, among many others turistic activities such as the Plaza del Rey, the Barcelona City Hall or the Plaza Real, with its live music bars like the Jamboree. If you feel like go shopping, just walk by the Portal de l'Àngel, a famous pedestrian shopping street or Portaferrissa, where you can find more local and traditional shops. Portaferrissa was, in its medieval origin, an entry to the city of Barcelona. Pay attention to the fountain, the history of the site is explained. This fountain was very important because it supplied water to a large part of the city, becoming an important point of confluence. ¿Did you know that Els 4 gats, near to the hotel Catalonia Catedral, was an emblematic building of Catalan modernism ? Picasso and many other artists and intelectuals passed by this meeting point which was inspired by the bohemian parisian atmosphere. It it nowadays a restaurant. Inaugurated at the end of 2009, the hotel Catalonia Catedral four stars surprise with its beautiful terrace, the courtyard with japenese garden, and its luminous interiors in a unique enclave in Barcelona. 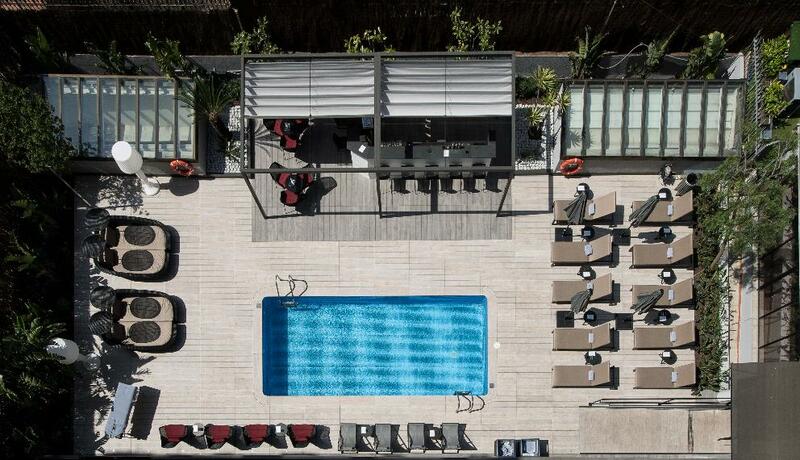 Located in a peaceful residential area between the lively neighbourhood of Gràcia and Park Güell, one of the leading works by Gaudí, you’ll find the Catalonia Putxet hotel with a rooftop terrace and pool to take in stunning views across the city and enjoy Barcelona's fine weather and sunshine after a busy day of sightseeing. 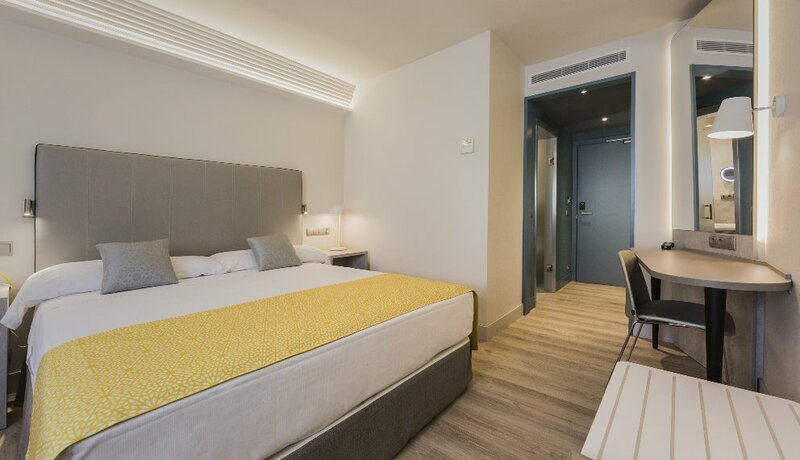 The hotel is close to the Lesseps metro station (green line) which will take you quickly into the Passeig de Gràcia shopping area or Plaça de Catalunya and Les Rambles. 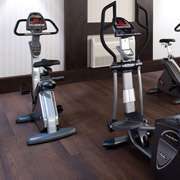 There is free wifi throughout the hotel, a restaurant and bar, a buffet breakfast, a gym for keeping in shape, a car park just 40 metres from the hotel, car rental, a beauty and massage service, dry cleaning and a laundry. The elegant rooms have free wifi, hardwood flooring, aircon/heating and room service. In the immediate vicinity of the hotel you’ll find Parc del Turó del Putxet, a lovely relaxing garden to breathe in nature with pretty views of Barcelona where you can see the sun set or stroll or work out in. If you’re after a bit more excitement, you can walk to the lively neighbourhood of Gràcia, filled with beautiful modernist buildings like the Mercat de la Llibertat and throbbing with pubs and bars to can enjoy a vermouth, a local tradition you simply can't miss. It’s also a good place to celebrate family and business events, meetings and conferences. We have everything ready to ensure you a fabulous holiday! Formerly Catalonia Duques de Bergara. 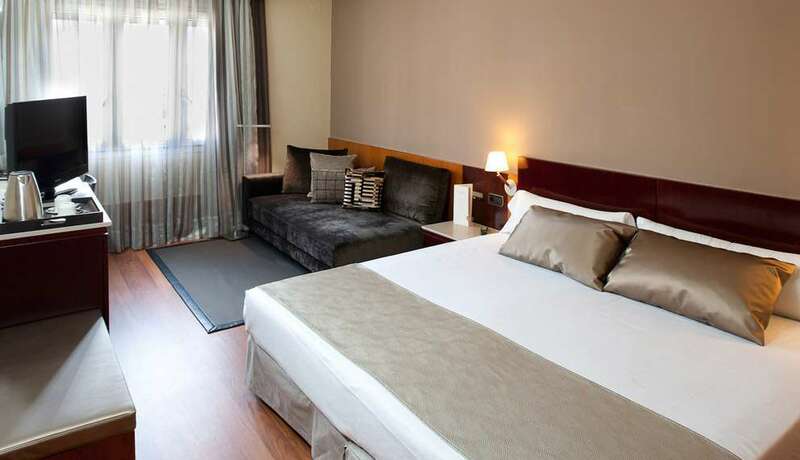 The hotel is situated only a few metres from Plaza Cataluña and Las Ramblas. It is a modernist-style construction, built in 1899 by the famous architect Emilio Salas y Cortés (master of Gaudí). Fully restored and extended in 1998, it incorporated the adjoining classical-style building that was built in 1881. 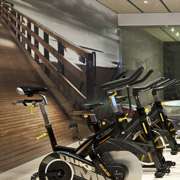 Currently the hotel is known as Catalonia Plaza Catalunya. The entrance and facade of the original building have been maintained and restored. An impressive marble staircase leads to the first floor, where there are magnificent doors made of Cuban mahogany (a type of wood that is no longer available), a perfectly conserved coffered ceiling and dome. Of the main staircase in the building, the wrought iron handrail has been maintained and the original designs have been restored. 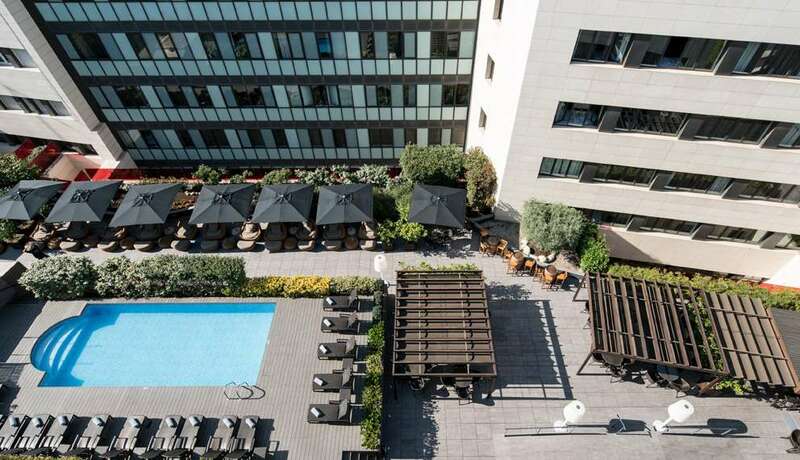 The hotel Catalonia Plaza Catalunya also has 4 function rooms, which are ideal for organising events and celebrations, captivating your guests, thanks to an unbeatable architectural setting in the urban and commercial centre of Barcelona. In the interior courtyard of the building, next to the hotel bar, there is a pool with a solarium and sunbeds at your entire disposal. 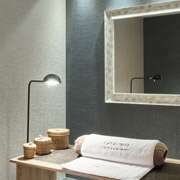 All the guests at the hotel can enjoy the spa located in one of the chain’s hotels, the Catalonia Ramblas, which is situated a few metres away from the Catalonia Plaza Cataluña. 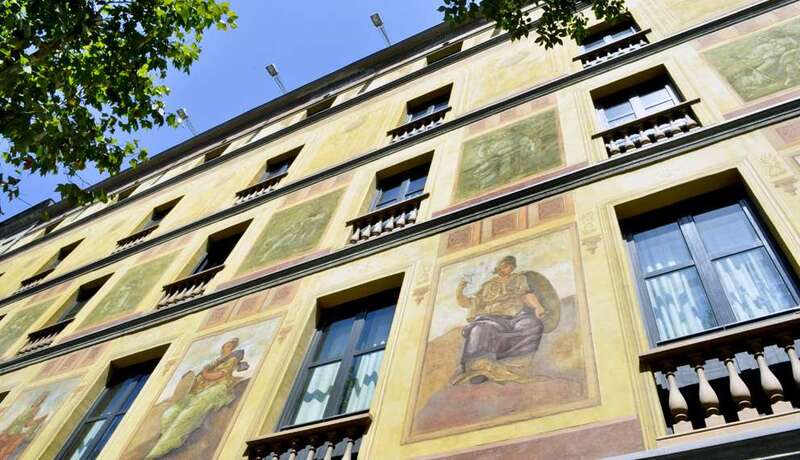 The Catalonia Ramblas hotel is set in one of the buildings that were home to the offices of the newspaper La Vanguardia, in Pelai 28. A building designed by Josep Majó Ribas and built specifically as the Barcelona newspaper’s offices and headquarters. Opened in 1903, it is the only modernist-style building in the street. It stands out particularly thanks to its elegant decoration, the large size of its common areas and its pleasant hall bar, a warm and welcoming place for enjoying snacks and all kinds of drinks. The front of the building has been completely refurbished and is particularly beautiful, with a pretty and original sgraffito with plant motifs. The interior courtyard of the buildings that make up the hotel include a garden terrace. 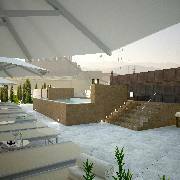 An authentic urban oasis that has a swimming pool (solarium with sunbeds), a snack bar with tables and a chill out area near the pool. In the summer months, the terrace is open until 1 in the morning and has a summer menu, as well as cocktails and milkshakes. 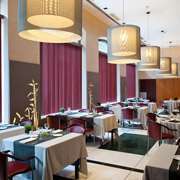 The Catalonia Ramblas hotel also has a spa with a water and relaxation area, a wide variety of health and beauty treatments and services and a restaurant serving Mediterranean and catalan cuisine: the Pelai Restaurant, a private, welcoming place for 50 people that offers a menu with select market cuisine. 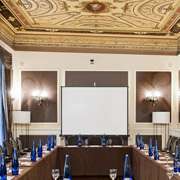 The hotel’s 9 halls and areas that can be panelled off make the Hotel Catalonia Ramblas the perfect venue for any kind of congress, convention or banquet. All the rooms at the Catalonia Rigoletto are soundproof. They boast comfy beds, aircon and heating, a minibar, an electronic safe large enough for a laptop and with a power point, hardwood flooring, a television, room service and a wake-up call service. Also a bathroom with all amenities including a hair dryer. 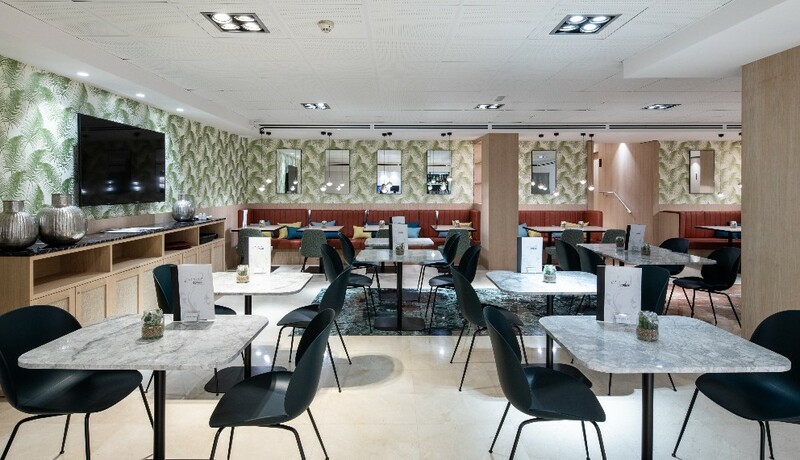 Whether you're a football fan here to see a game or visit the FC Barcelona stadium/museum or are in town on leisure or business, you’ll feel at home at the Catalonia Rigoletto. 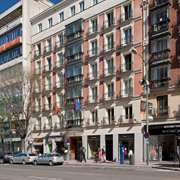 Close by the hotel is Avinguda Diagonal where you can shop at the Pedralbes Centre. Alternatively you can enjoy a stroll in the beautiful gardens of the Palau Reial de Pedralbes, one of the loveliest places in the city, formerly the official residence of the king and queen when visiting the city. The Palau often hosts interesting museum exhibitions. Also in summer it is home to the Pedralbes Festival, with a top line-up of musicians. 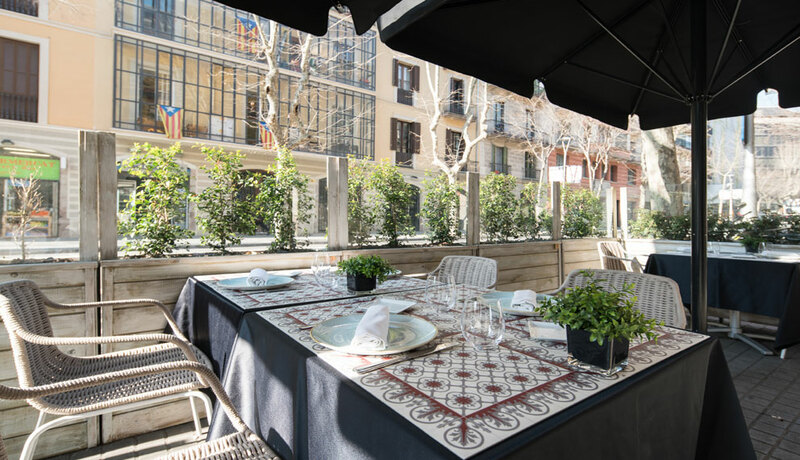 The Catalonia Rigoletto is a five-minute walk from the Maria Cristina L3 metro station which will whisk you into Plaça de Catalunya in 15 minutes. The Universitaria stop on Line 9S has a direct train connection to Barcelona airport and is just 1.5 km away. 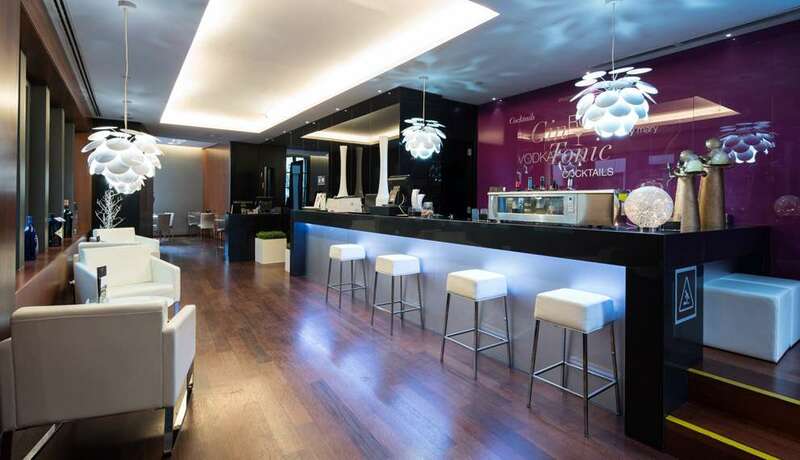 Let our hotel staff pamper you as you deserve and round out your trip to Barcelona. Are you keen to enjoy a new experience in Barcelona? 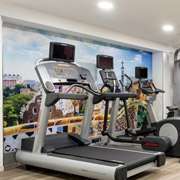 Catalonia Atocha Hotel is located in the centre of Madrid, near Paseo del Prado and Atocha Railway Station, and only a short distance from the main museums and tourist attractions of the capital. 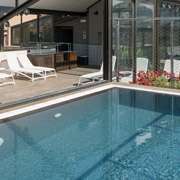 The hotel was inaugurated in 2011 and has a fantastic solarium and terrace with heated seasonal Jacuzzi and wonderful views of the city. 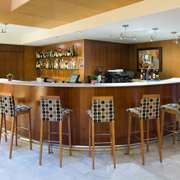 Set in an area with great commercial and leisure activity, the hotel also has free wireless Internet access, a café and snack bar and a restaurant for conventions and events. 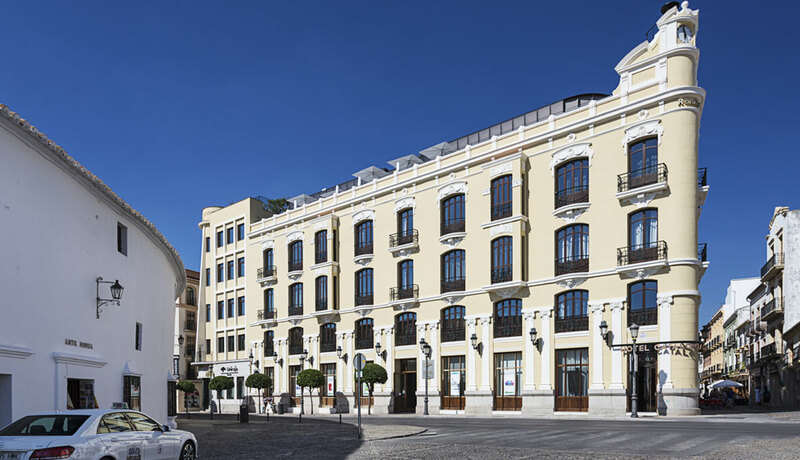 The building dates from the beginning of the 20th century and forms part of the Historic Villa de Madrid (Town of Madrid) and was built in the developed area of the city, after the demolition of the wall delimiting the city boundaries in the reign of Felipe IV. Built in the Neo-classic style, its façade is now one of the most spectacular and most frequently photographed sites in the famous calle Atocha and, by extension, the well-known Barrio de Las Letras, birthplace of many well-known Spanish Golden Age writers. 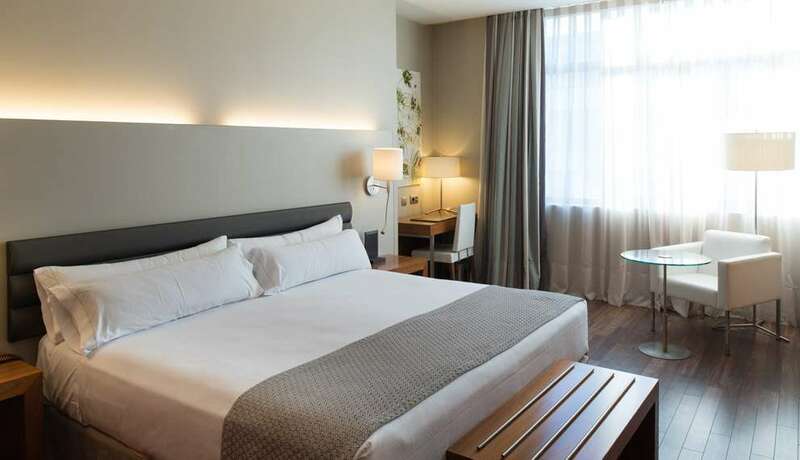 In contrast to the classical design of its façade, the hotel has an avant-garde, modern and cosy interior and the latest in hotel technology: led lighting, an integrated intelligent air conditioning and heating system which is proof of the commitment of Hotel Catalonia Atocha to a sustainable future. Formerly Catalonia Centro. 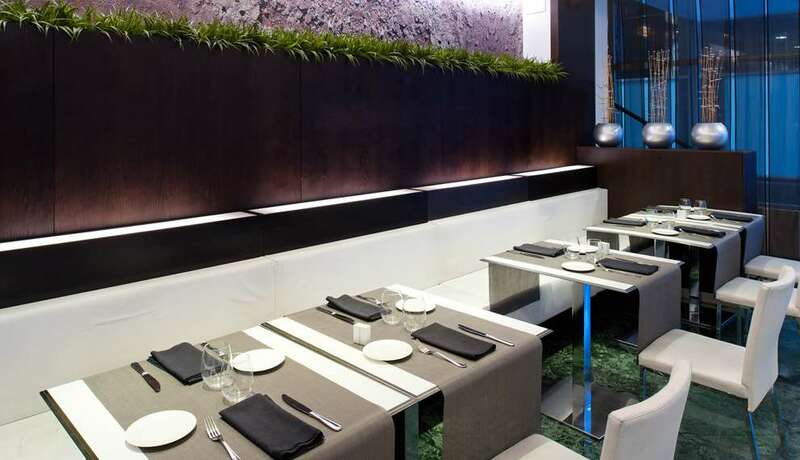 This central hotel is located in the centre of Madrid, next to Calle Serrano and in the heart of the Salamanca district. It is set in a building from the end of the 19th century, which has been designated Artistic Heritage of the city. Its unbeatable situation in Madrid’s business and commercial centre means that the hotel’s guests can enjoy the benefits of this great city. It also has a restaurant and meeting rooms and counts with a reserved area in front of the hotel for you to easily unload your luggage. 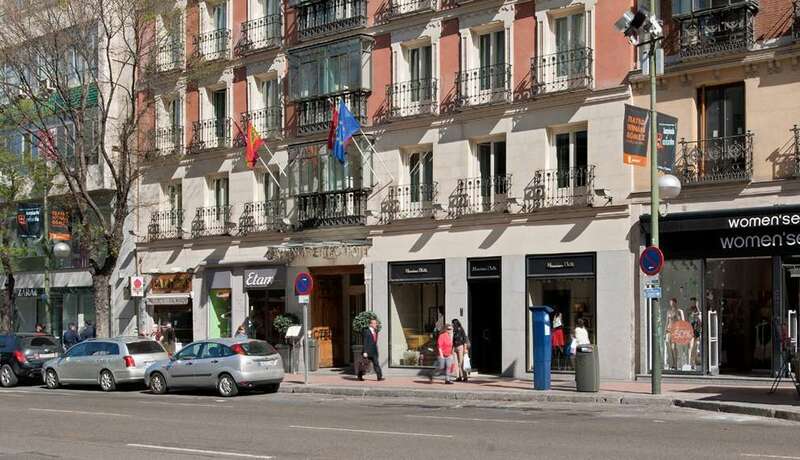 Just 500 metres from the Atocha train station, the Catalonia Goya hotel is located in the well-heeled neighbourhood of Salamanca, a great place for shopping in the most exclusive stores in town, and lunch or dine in the hotel restaurant or at any of the restaurants in this high-end area of Madrid. The neighbourhood is delimited by Paseo de la Castellana and Retiro Park. 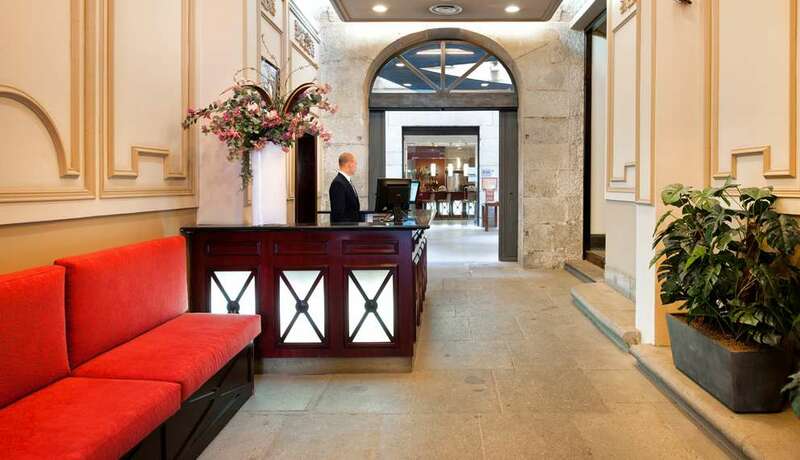 The hotel is just 600 metres from the Reina Sofía and Prado museums. Plus, if you’re keen to try the Madrid tapas scene, a 10-minute walk will take you to La Latina, a very lively neighbourhood sporting a wealth of bars. 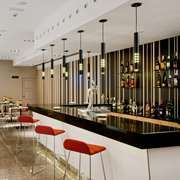 Madrid at night throbs with entertainment options including theatres, cocktail bars and dance halls… The elegant, comfortable rooms are soundproofed and have double-glazing. The hotel has everything you need to ensure a pleasant stay. The rooms have a hair dryer, air-conditioning and heating, a private bathroom and very comfortable mattresses to relax on after a busy day of seeing the sights or a hard day at work. The Catalonia Goya also has a concierge service and a tourist information desk where you can rent a car or buy tickets to shows and museums. It also has a link to the airport, available at a small surcharge. We serve a delicious buffet breakfast with locally sourced produce every morning. 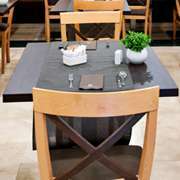 If you want to stay in the hotel for lunch or dinner, we have a restaurant and bar with Mediterranean cuisine. If you decide against leaving your room, we can bring you anything you like. 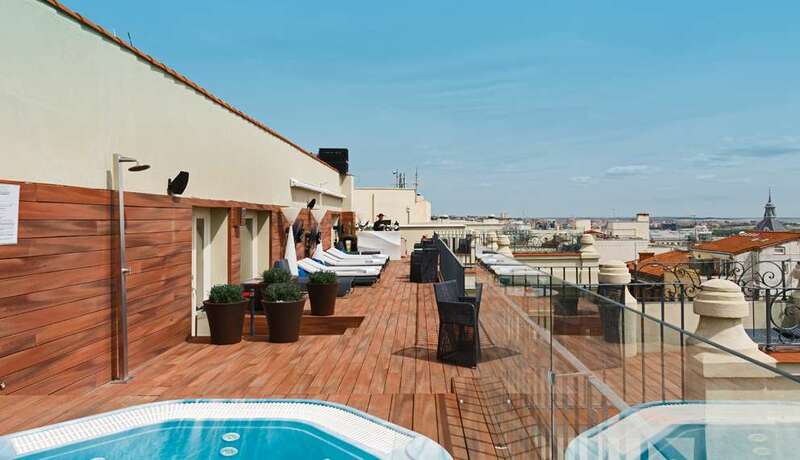 Stay at the Catalonia Goya in Madrid and enjoy your time in this beautiful city! Formerly Catalonia Gaudí. 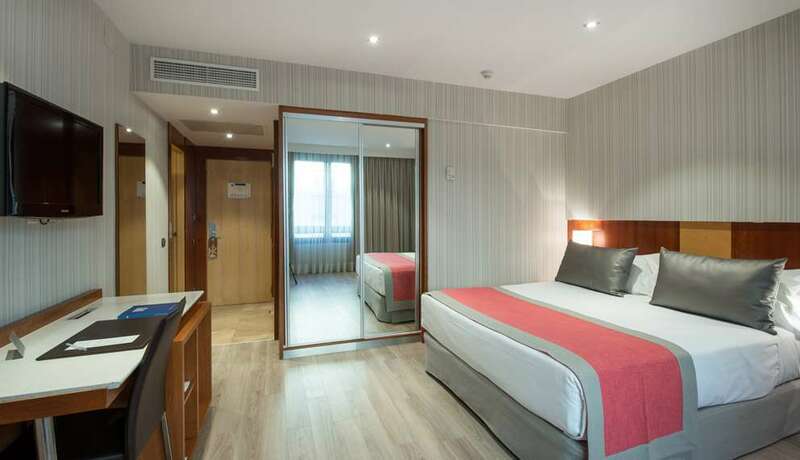 This interesting hotel is located in the very heart of Madrid, just a few steps away from Plaza Cibeles and the Puerta del Sol, in a building dating from the beginning of the 20th century. Very close to the Prado Museum and the Thyssen Gallery, makes it possible to take full advantage of Madrid’s cultural offerings. 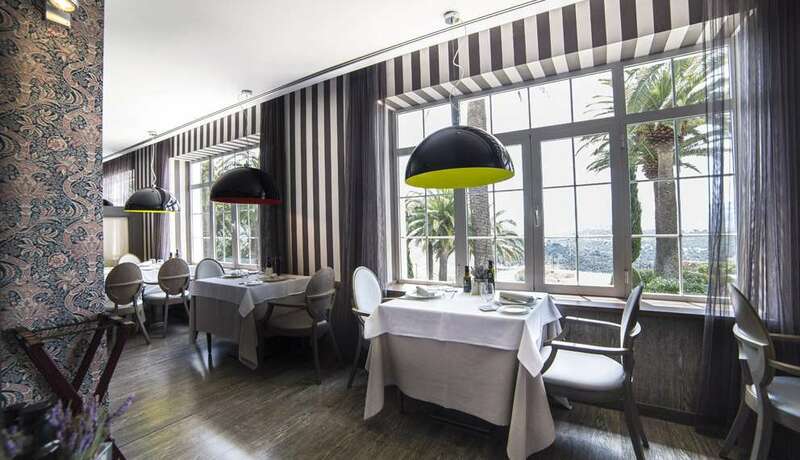 Furthermore, the hotel offers all of its visitors a fantastic restaurant, a terrace overlooking the Gran Via street with swimming pool, 4 function rooms that can be used to hold all types of events and SPA with fitness area. The hotel is located in a building that dates from the beginning of the 20th century. Its eclectic style is visible in the façade and in the main marble staircase, which have been left in their original versions. 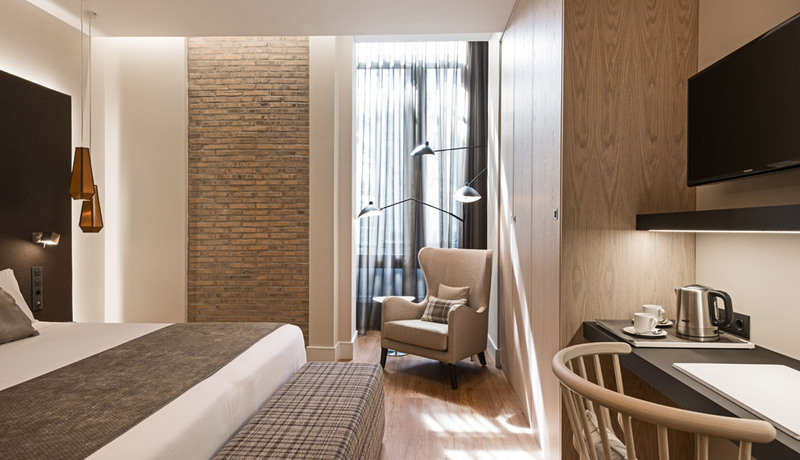 In order to provide space for the hotel’s facilities, extension work was carried out joining it with the building next-door; resulting in a hotel with a warm and comfortable atmosphere that satisfies our customer’s expectations. The closeness of the Prado Museum and the Thyssen Gallery is the hotel’s main cultural attraction. 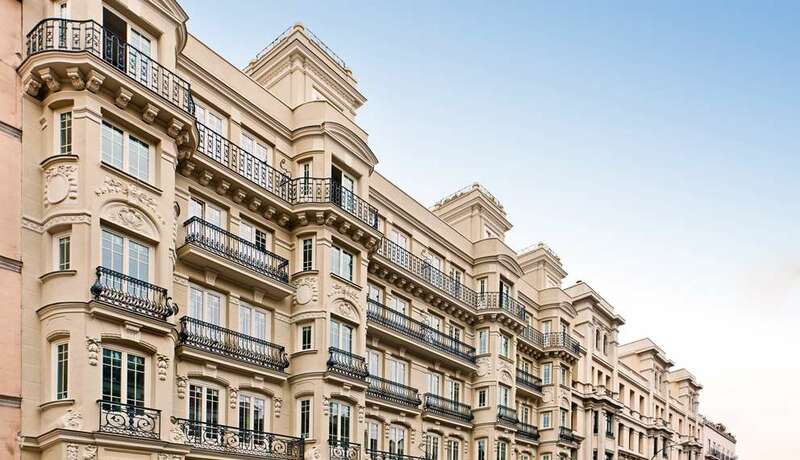 Situated in the so-called “triangle of culture,” it is just a few steps away from the Paseo del Prado and Plaza Cibeles, two of the city’s most mythical locations. 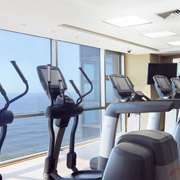 In additional to the cultural attractions, the hotel has a gym and a wellness centre. An interesting range of food is also available at our restaurant, with a perfect balance of international cuisine and the best Mediterranean recipes. 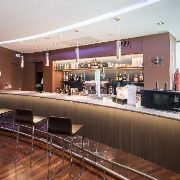 Guests can also enjoy our welcoming bar, an easily accessible place to have a coffee that can be accessed from Gran Vía or from the hotel's lobby. 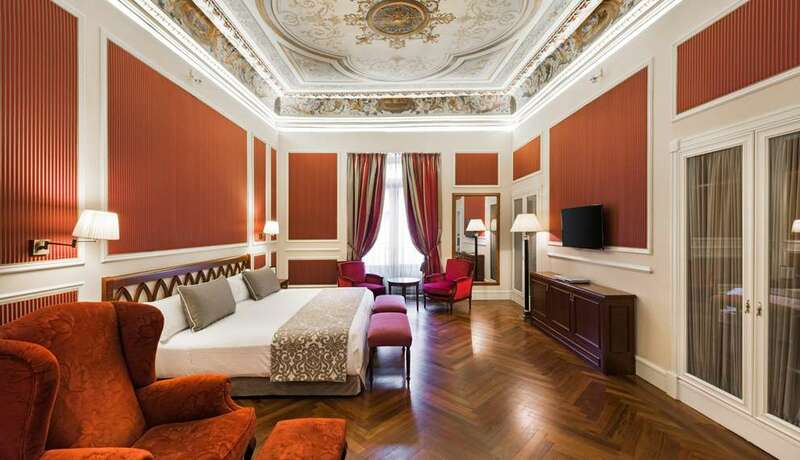 The hotel Catalonia Las Cortes is located in the historic center of Madrid, next to Plaza Santa Ana, is this hotel with classic style. It is an 18th century palace, with its own history and character that has been completely restored to satisfy the needs of our most exclusive clients. 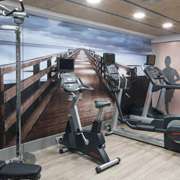 The hotel has a restaurant, small free buffet for guests from 14:00, free Wi-Fi and two large rooms for celebrations and events. All our rooms have complimentary free water in the minibar and coffee and tea facilities.Please note the property is located in the Old Town, so access to the hotel is made through Principe street. Once in the hotel, please provide your plates number. The hotel Catalonia Las Cortes is located in the former residence of the Duque of Noblejas, a fully restored 18th century palace. The building conserves its noble character: the renovation included the restoration of the main stairs, the mouldings and mirrors that decorate it, the wooden floorboards of the hallways and the stained glass windows of the old chapel (on the second floor). The frescos kept inside have been completely restored and they are currently distributed in the two suites, two of the superior rooms and in the Convention Rooms, which are the palace’s former ballrooms. 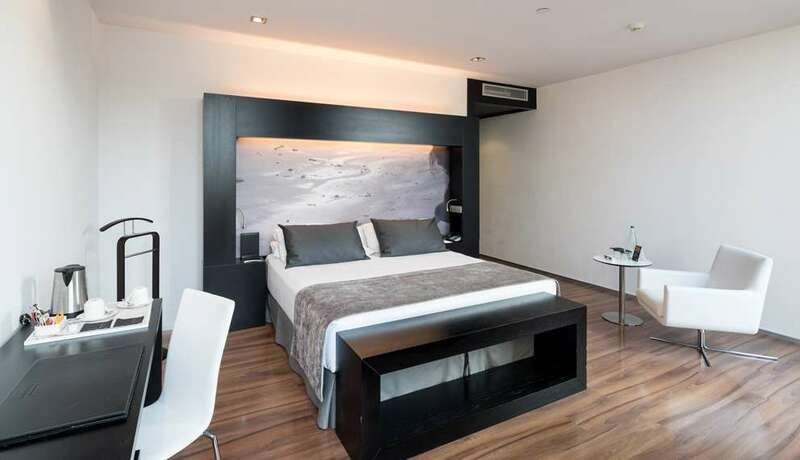 The hotel building is strategically located within the Art Triangle, less than 5 minutes away from the Prado Museum (one of the most important art galleries in the world) and just a few steps away from the Thyssen Bornemisza Collection and the Reina Sofía Art Museum. 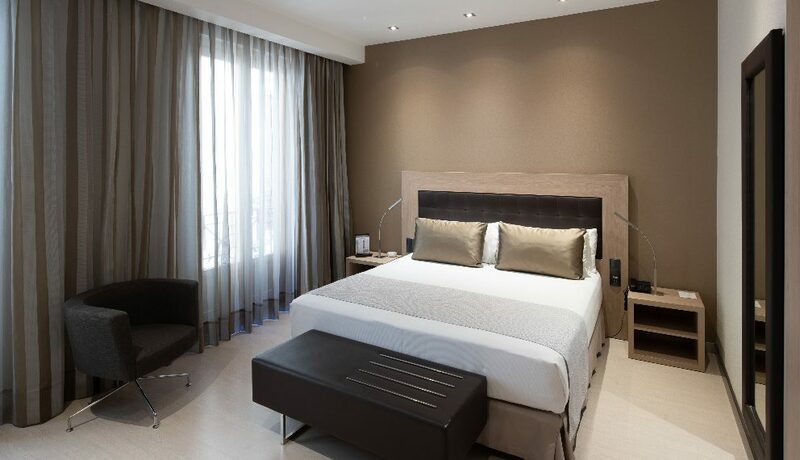 This hotel is located in the “Barrio de las Letras” (Literary Neighbourhood) in the heart of old Madrid. It has become a fashionable area over the last few years. This area is particularly worthy of mention as its arteries have the movement of a large city whilst maintaining a bohemian spirit. Small restaurants, modest art galleries and fun bars make this part of Madrid a good reference point. Night-time entertainment is one of the strong points of the Barrio de las Letras. You can begin the night by trying some typical tapas along with a caña (beer) and then continue the fun by going from bar to bar to enjoy a few drinks and Madrid’s nightlife. This area is also a meeting point for people that have recently arrived in the city, tourists and the Madrileños (natives of Madrid), making it easy to get acquainted with the city. 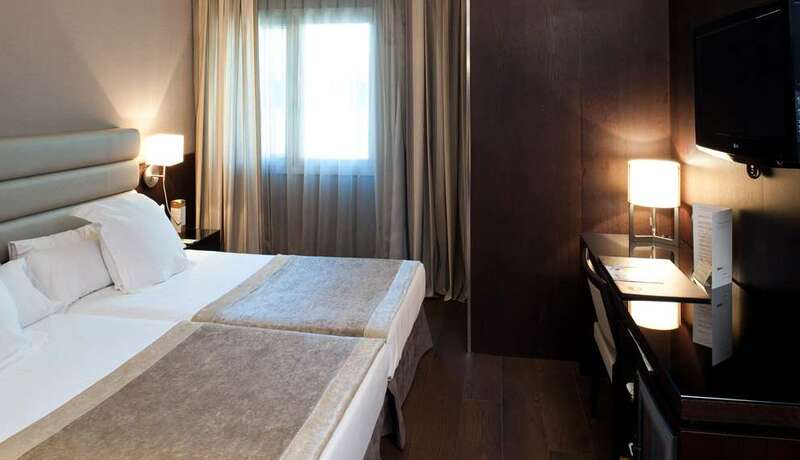 Located in the centre of Madrid, near Plaza Mayor and the emblematic Puerta de Sol, this hotel is in the most attractive cultural and shopping area of the city. Catalonia Plaza Mayor was inaugurated in 2011 and is within walking distance of the most important museums, (El Prado, Reina Sofía, Thyssen Bornemisza), theatres, bars and the best shopping district of the capital. 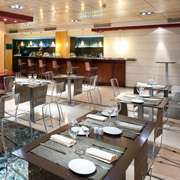 Its proximity to Puerta de Atocha railway station (high speed raill) also makes it the perfect hotel for business sojourns or meetings. 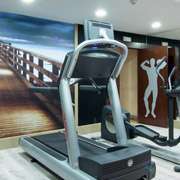 The hotel has a gym, Jacuzzi, free wireless Internet access, Tea time: exclusive free buffet for hotels guests, a café and snack bar and a restaurant for meetings and events. Catalonia Plaza Mayor is housed in a historic building dating from the beginning of the 20th century, which forms part of the Historic Villa de Madrid (Old Town of Madrid), which is better known as the “Madrid de los Austrias”. 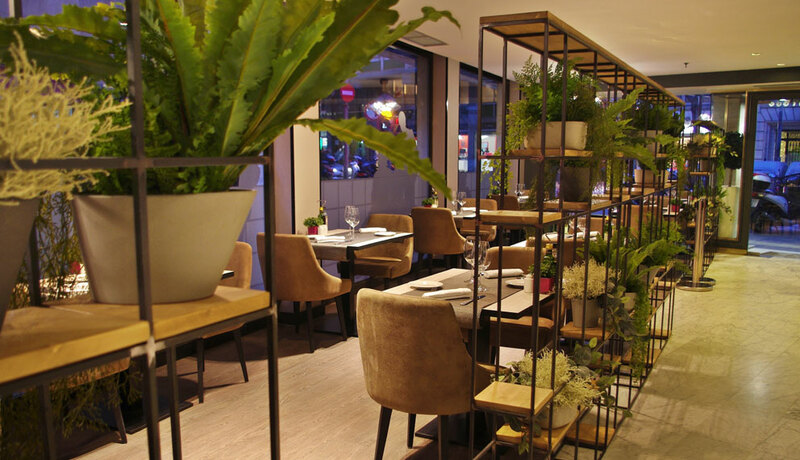 It is situated in the famous calle Atocha, which connects the city centre with Paseo del Prado and Atocha Railway Station. In these surroundings, the hotel has a singular interior, with modern decoration to make its clients feel welcome, in warm tones and a designer’s touch. Free wireless Internet connection throughout the hotel and an Internet corner with computer for the use of our guests. 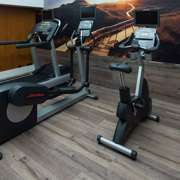 It has a gym and heated Jacuzzi, a snack bar with a wide selection of dishes to suit all tastes and rooms for holding business meetings and receptions. Catalonia Puerta del Sol (formerly Catalonia Moratín) has outstanding personality and is located in the centre of Madrid, a few metres from Puerta del Sol. Built around an interior courtyard, the rooms are furnished with all the complements and services required for our clients’ satisfaction. Its unbeatable situation makes the hotel a safe bet for enjoying the wide range of cultural and commercial options on offer in the city. It also has a restaurant, foyer bar and hall. 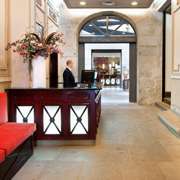 The building dates from the 18th century and the hotel is set around an interior courtyard that is typical of the period. 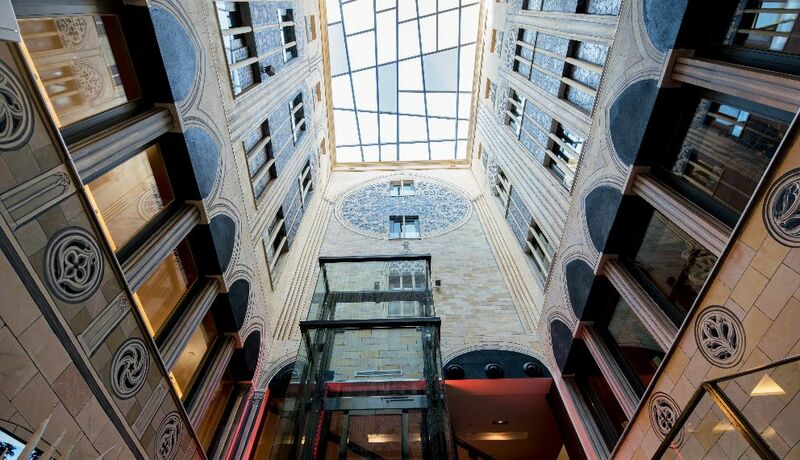 The entire hotel is very bright and the refurbished building conserves the original entrance and main staircase. The construction is one of the first that was to be built in the area. It is listed as a historical building of the town of Madrid and has been designated as one of the City’s Artistic Heritage sites. During the refurbishment work, particular importance was placed on the entrance, the former entrance hall that was originally built to enable the entrance of horse-drawn carriages and whose original structure has been conserved. The refurbishment work on the main entrance was the most complicated part. The floor comprises stones weighing 200 kg each and had to be given special treatment owing to the complications. The interest in the entrance lies in the 2 doors of a height of 3.5 m, which conserve the original hinges and fittings. The main staircase is unique in the area and one of great beauty: the steps and wooden banisters with plasterwork mouldings have been fully recovered. Inside the hotel, the typical courtyard of the period has been conserved and, according to the local residents, it was originally used as a meeting place for the local chulapos to get together, smoke cigarettes and speak with the women. 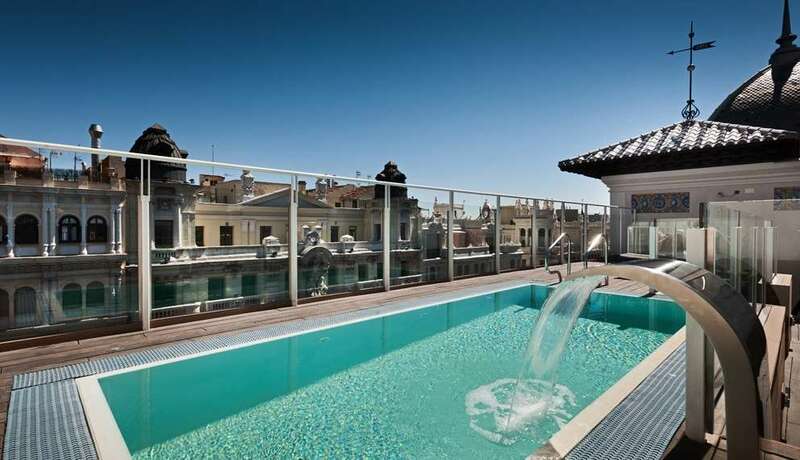 The hotel is located in the Letras quarter in the heart of the traditional part of Madrid. In recent years, the streets have been turned into the city’s fashionable area. The district is worthy of special mention since it is particularly busy and reflects the spirit of this bohemian quarter. Small restaurants, modest art galleries and enjoyable bars have chosen these streets of Madrid as their point of reference. 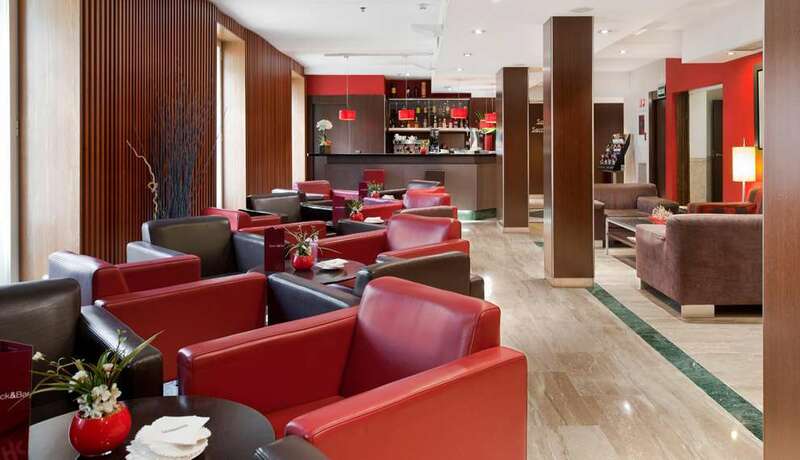 The Catalonia Berlin Mitte hotel owes its name to its central location in the city’s Mitte district, just 10–15 minutes’ walk from Museum Island and 15–20 minutes’ walk to Alexanderplatz and historical Nikoleiviertel; Berlin’s entertainment area full of typical restaurants. The hotel is located just in front of the Heinrich Heine Metro Station (U8, two stops to Alexanderplatz). 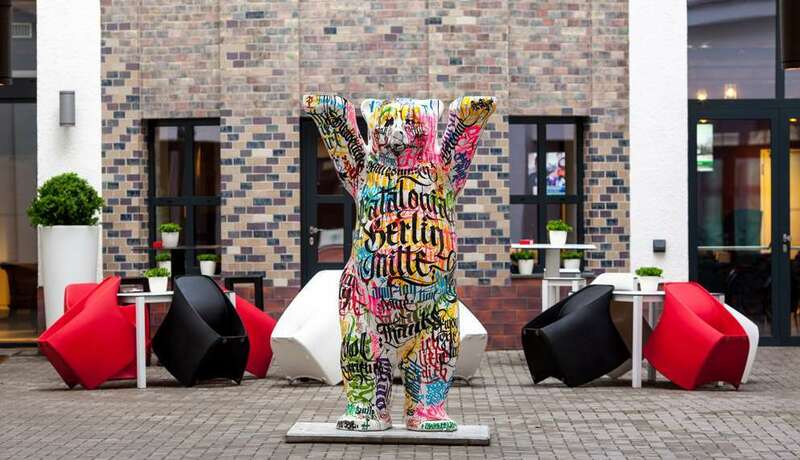 The hotel has a unique lifestyle charm recreating the essence of Berlin with its industrial style, raw walls and graffitis in each floor created by well-known berliner artists. 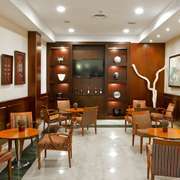 The hotel has 131 spacious and bright rooms with Smart flat screen TV’s, minibar and safe. 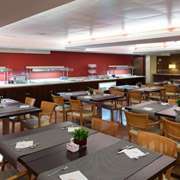 It also has two meeting rooms, breakfast buffet, lobby with internet corner, cocktail bar, the Kunstwerk Restaurant, exterior terrace and free Wi-Fi throughout the whole hotel. 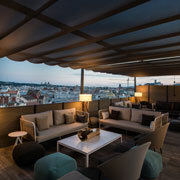 The Catalonia Berlin Mitte hotel owes its name to its central location in the city. Opened in February 2014 and located in a building dating from 1911 with an austere facade, typical garage entry leading into a quiet courtyard, it had once housed several offices, jewlery store and even STASI (berlins eastern police during the berlin wall period) members. It is just 10–15 minutes’ walk from Museum Island and 15–20 minutes’ walk to Alexanderplatz and historical Nikoleiviertel; Berlin’s entertainment area full of typical restaurants. 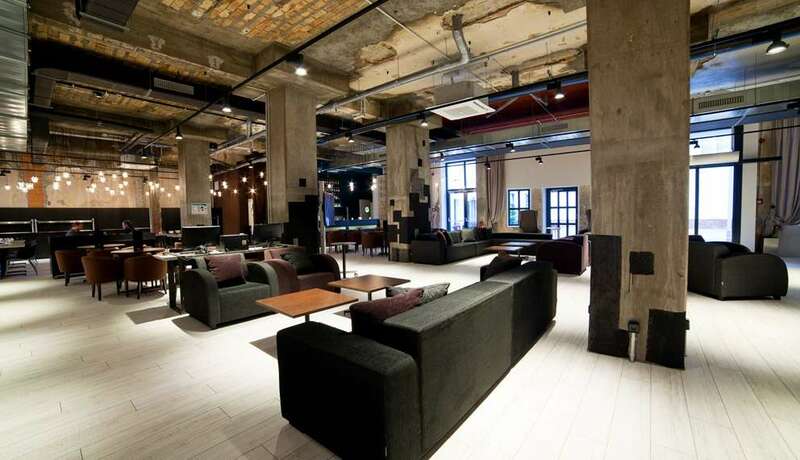 The hotel is located just in front of the Heinrich Heine Metro Station (U8, two stops to Alexanderplatz) and close to the upcoming hipster district of Kreuzberg. It is also close to the Jannowitzbrücke railway station to (S5, U8), with direct connection to the Messe Berlin/ICC (fairgrounds) and to the BCC – Berlin Congress Center at Alexanderplatz it takes only 1,2 km or 1 S-Bahn stop. Decorated by Barcelona based Interiorists “Denis von Arend” walls, ceilings and other building elements take an unusual prominence exposing the historical memory of the building that will captivate the customer. 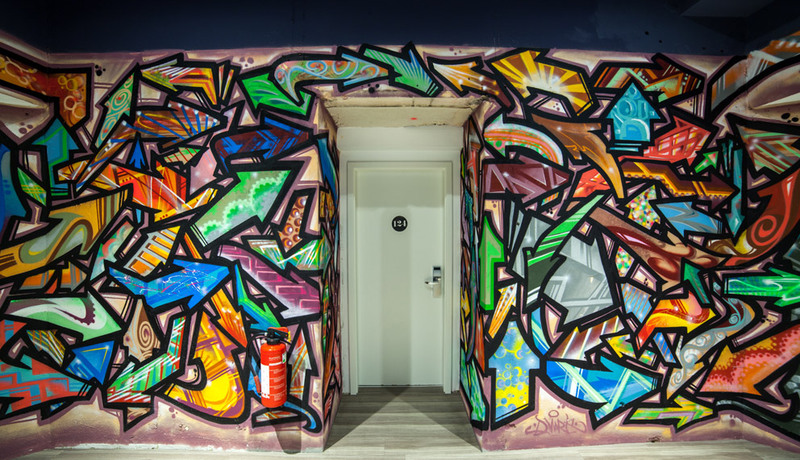 The hotel has a unique lifestyle charm recreating the essence of Berlin with its industrial style, raw walls and graffitis in each floor created by well-known berliner artists. 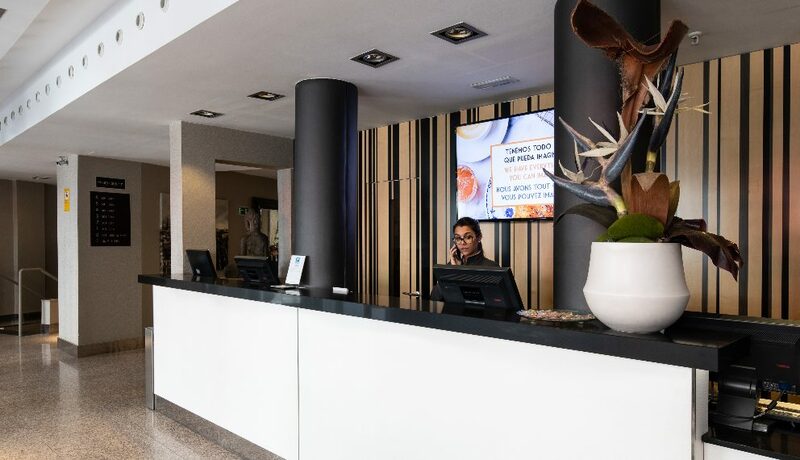 All this is backed by an excellent service, functionality and comfort guaranteed by the Catalonia H&R Stamp, that will provide our Guests an unforgettable experience. The hotel has 131 spacious and bright rooms (42 of them superior rooms with extra amenities) with Smart flat screen TV’s, minibar and safe. 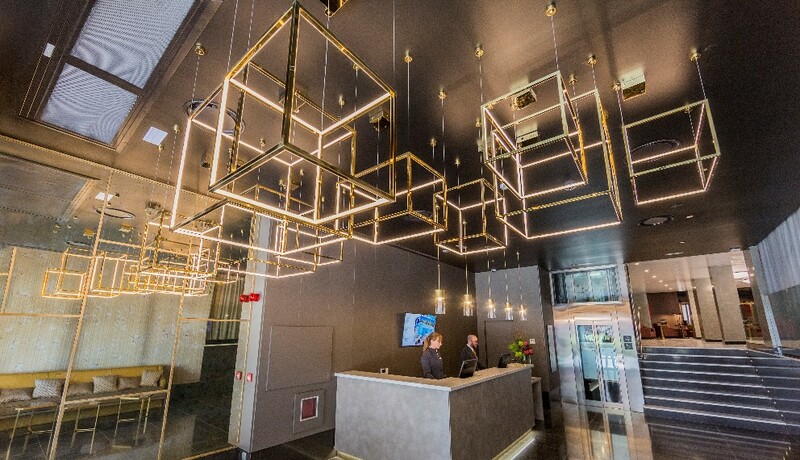 It also has two meeting rooms, an upgrade breakfast buffet, lobby with internet corner and working tables, cocktail bar, the Kunstwerk Restaurant in the evenings, exterior terrace at the courtyard and free Wi-Fi throughout the whole hotel. The Catalonia Reina Victoria hotel was built in 1906 in Victorian style and was the residence and workplace of the famous Czech poetist Rainer Maria Rilke, whose room is nowadays a small museum. Next to the entrance of the hotel there's a 24-hour reception, safety box and an elevator. 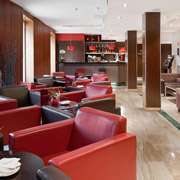 Our guests will also find a TV lounge, conference facilities, a cafeteria, a bar and a cozy à la carte restaurant. 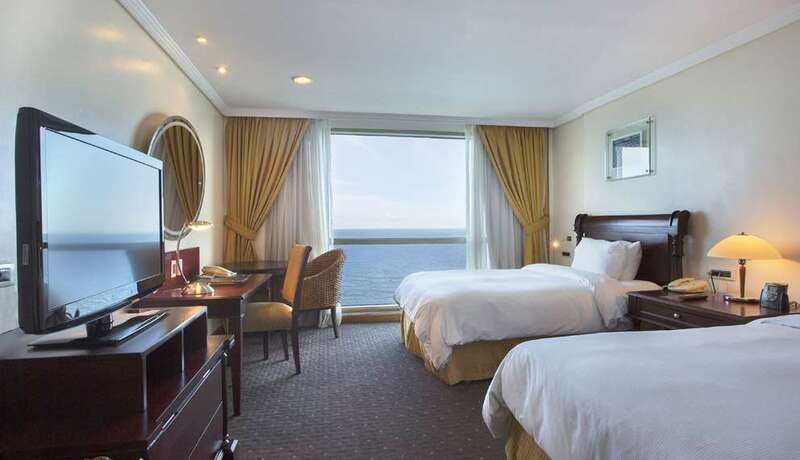 They will also be able to use our free Wi-Fi connection, the room service and the laundry service. The hotel also has a parking lot. 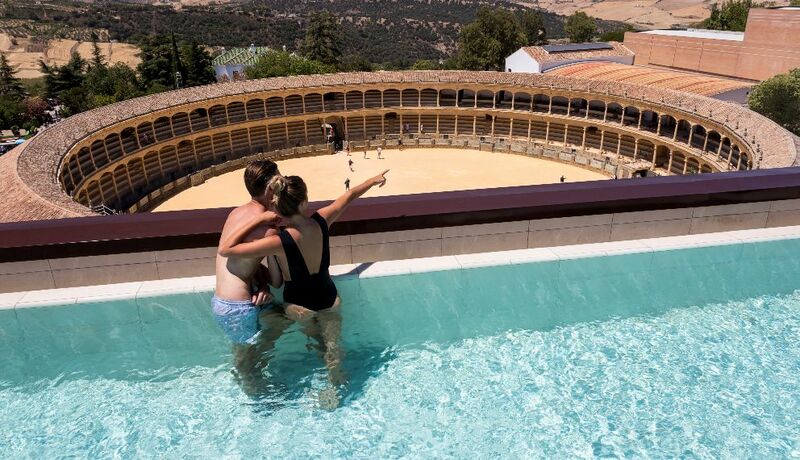 It has an easy access to the most famous Ronda landmarks, like the oldest bullring in Spain or the New Bridge. In the town center, which is just 500 meters away from the hotel, there are many stores and leisure places. Public transportation is available next to the hotel. 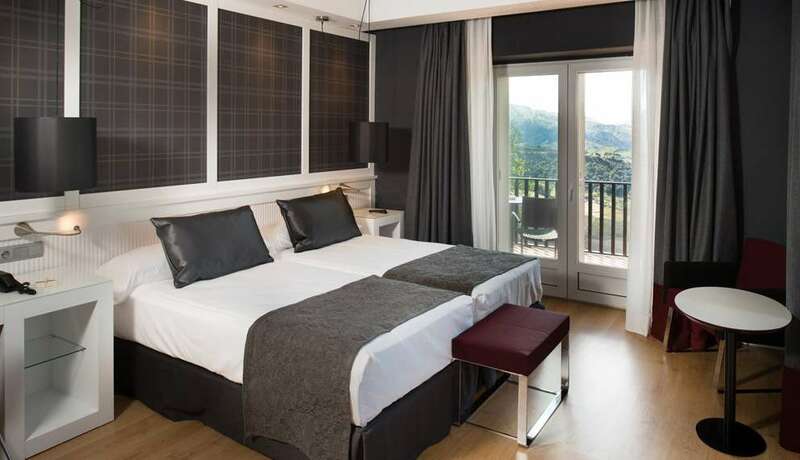 The Catalonia Reina Victoria hotel has 95 rooms with direct telephone, TV, fully equipped bathroom, central heating, air conditioning and many of them have a terrace overlooking the mountains. The Azahar Restaurant has a wide area with large windows where you'll be able to enjoy the magnificent views of the surroundings. 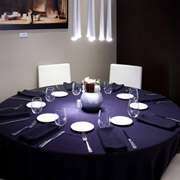 It offers à la carte service, individual and group menus and banquet services for up to 190 people. 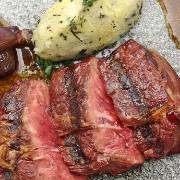 It offers regional, national and international cuisine. The Catalonia Ronda is located just opposite the iconic Real Maestranza de Caballería de Ronda bullring on the town's main pedestrian shopping street. The hotel's unique and beautiful façade is included in the Preservation Plan for Ronda's Old Town. The hotel offers 80 elegant and well-appointed rooms equipped with every amenity imaginable, many with balconies overlooking the bullring. The bar has an inviting outdoor terrace with outstanding views. 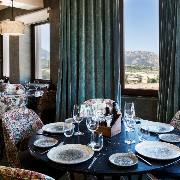 An à la carte restaurant with individual and group menus offers a mouth-watering selection of Andalusian haute cuisine. Two meeting rooms with natural light are also available. 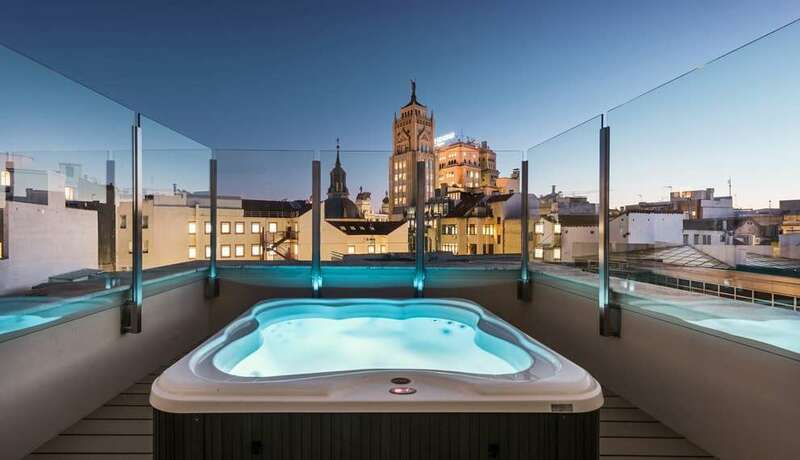 The quiet, elegant rooftop terrace with a chill-out vibe is the perfect place for guests to relax, and comes complete with deck chairs, an infinity pool that looks out over the bullring and an outdoor hydromassage pool. Spa available. Hotel Ronda - H/MA/02226. The hotel's stunning and unique Spanish modernist façade is included in the Preservation Plan for Ronda's Old Town. 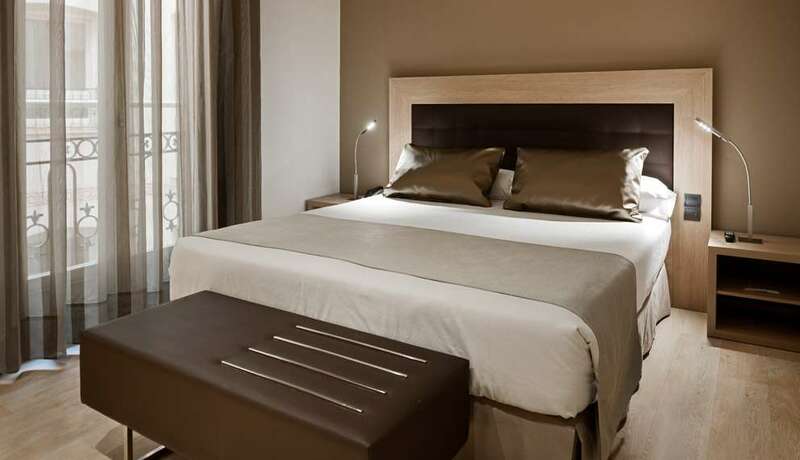 The Catalonia Ronda offers 80 elegant and well-appointed rooms equipped with every amenity imaginable, many with balconies overlooking the bullring. The bar has an inviting outdoor terrace with outstanding views. 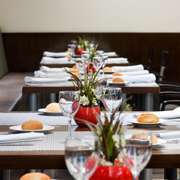 An à la carte restaurant with individual and group menus offers a mouth-watering selection of Andalusian haute cuisine. Two meeting rooms with natural light are also available. 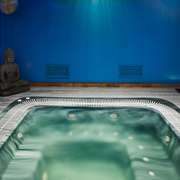 Guests can enjoy their free time at the hotel by taking advantage of the fitness room, spa area with a pool with jets, massage booths and a dry sauna. 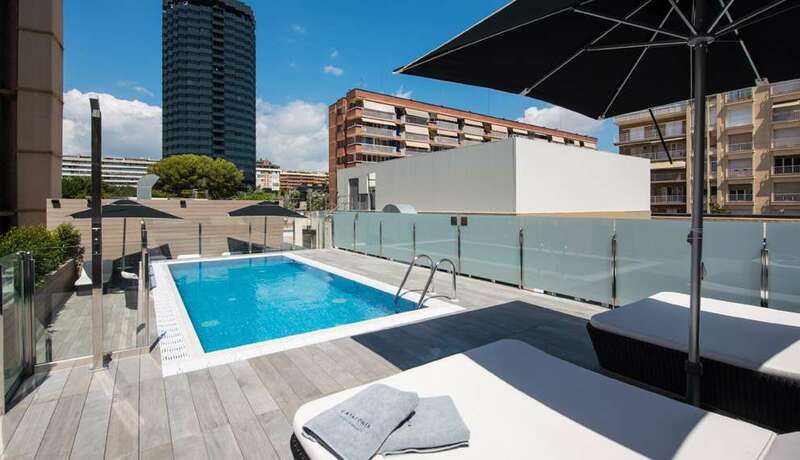 A quiet, elegant rooftop terrace with a chill-out vibe is the perfect place for guests to relax, and comes complete with deck chairs, an infinity pool that looks out over the bullring and an outdoor hydromassage pool. 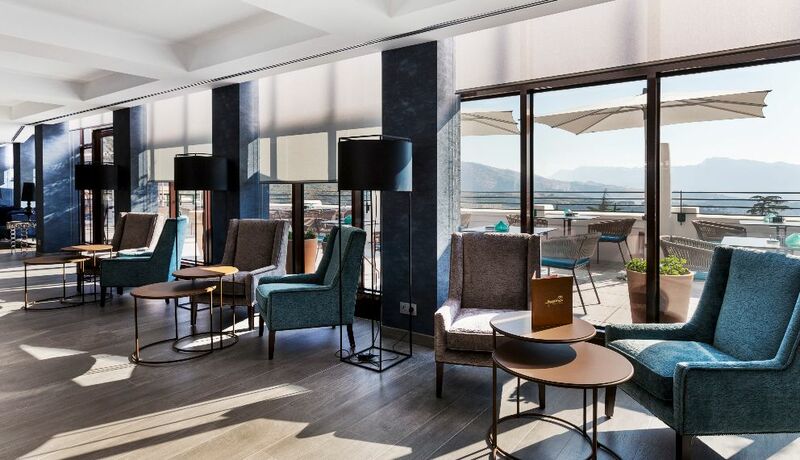 The 4-star Catalonia Granada hotel enjoys a privileged location, just five minutes from the historical centre and Granada Cathedral, next to the train station (a future AVE high-speed train station). 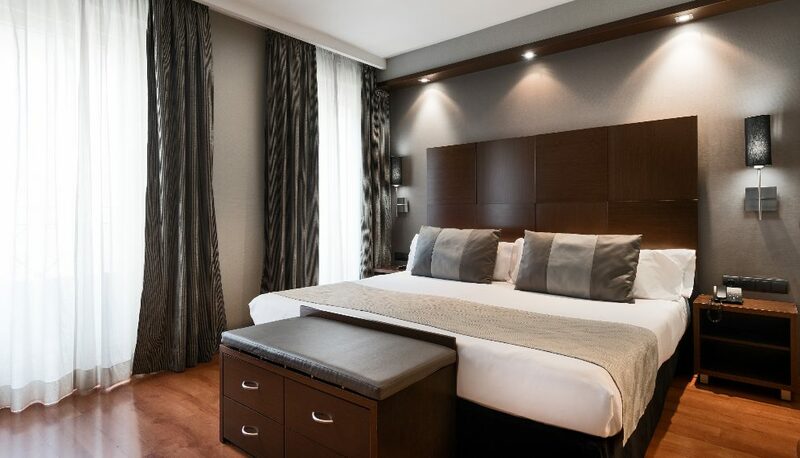 The hotel, opened in 2018, is beautifully decorated, with 153 elegant, comfortable rooms fitted with all mod cons and including free wifi, room service and a variety of extra services to make your stay in the city sublime. 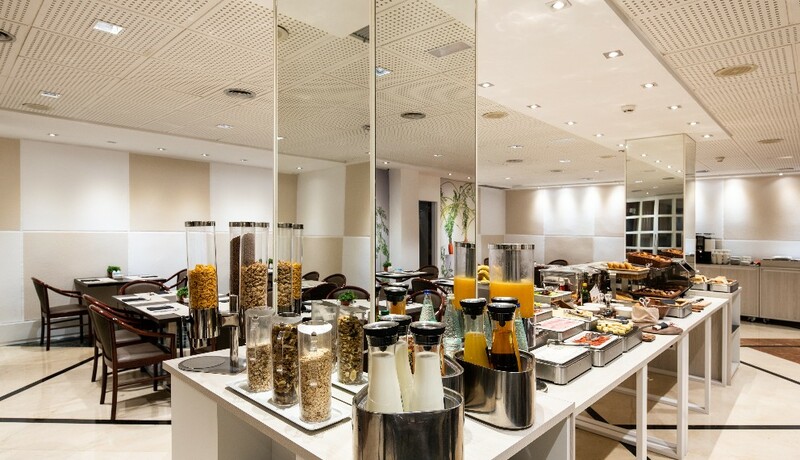 We have a buffet breakfast and snack bar with regional, national and international cuisine. If you fancy staying in the hotel, we have some plans prepared for you: a wellness zone including a spa, pool and massage rooms, a fabulous terrace with a pool and views, a fitness zone and meeting and convention rooms. 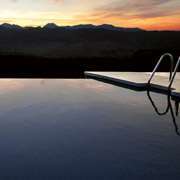 Take in the stunning views over Sierra Nevada and the city of Granada from the hotel's pool terrace and enjoy your trip! Hotel Granada H/GR/00948. 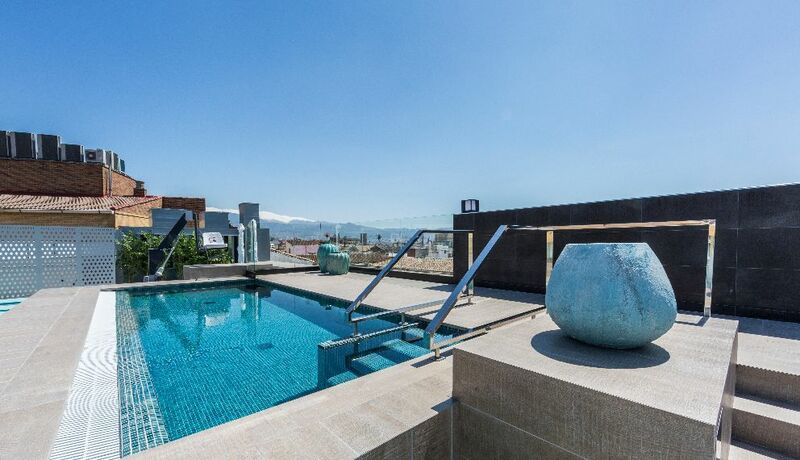 The Catalonia Granada boasts a wellness zone and spa, a pool with water spouts and massage rooms to spend a relaxing day in. At the pool you can have a dip and enjoy the beautiful views while sipping a drink and logging on to the hotel's free wifi. 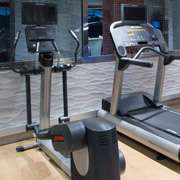 The fitness zone is free to use and is available to all guests, so you can stay in shape even when you're on the road. 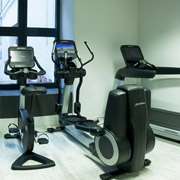 Plus there are meeting and convention rooms with natural light and wifi so you don't have to leave the Catalonia Granada and can make full use of your time. Catering service and audiovisual resources available. Granada has a stunning Arabic legacy that you can’t afford to miss. Its cultural history covers not just the Alhambra and Nasrid palaces but also the strikingly unusual streets of the beautiful Albaicín neighbourhood. Granada is bursting with life in summer. Apart from enjoying the city's culture and tapas bars, you can swim at the beautiful beaches of Granada province, such as Playa de la Joya or Playa de Calahonda, and sample fresh local food at the beach bars. If nature and hiking are your thing, pack your mountain boots because the Mozarab Way of St James could be an interesting idea, as it passes through Granada and is one of the routes on the way to Santiago de Compostela (Way of St James). In winter season, get in a few days’ skiing at the Sierra Nevada resort , around an hour from the hotel. If you’re here on business, in addition to enjoying the Catalonia Granada hotel and the business traveller services we offer, such as meeting and convention rooms and a relaxing spa, don't forget to check out the Alhambra, one of the most famous tourists spots in this beautiful city, to really get the most from your time in Granada. And, if you need to hire a car we can arrange it for you. We look forward to seeing you soon! Remember that by booking directly over this website, the official site of Catalonia Hotels & Resorts, you can enjoy benefits such as a free glass of cava, early check-in or late room check-out on the day you leave the hotel, all with the minimum price guaranteed. For more information on what to see and do in Granada, ask at the hotel. We will be happy to provide you with all the information you need to make your trip perfect. Catalonia Santo Domingo it’s a sensational 21-story tower hotel located in front of the Caribbean Sea. 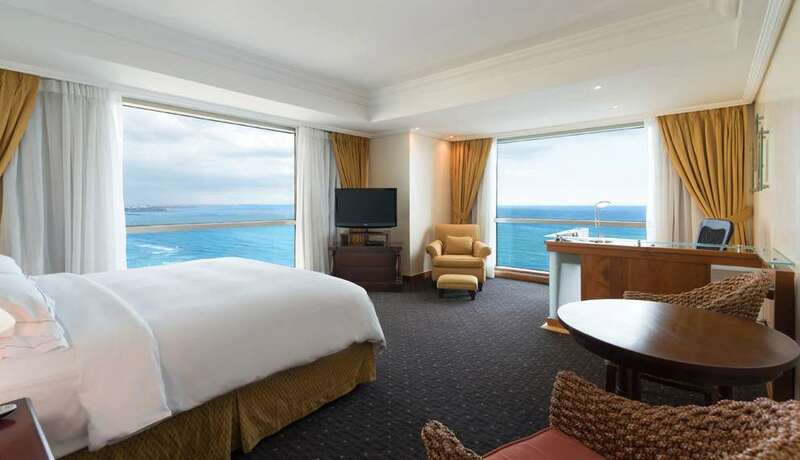 Rooms offer amazing ocean views to the ocean with panoramic windows. Most of the hotels facilities face to the ocean as Filigrana Restaurant, Terrace Bar & Lounge, Gym and outdoor pool. Catalonia Santo Domingo is the only hotel in the city offering 1,100 mts2 of meeting facilities located at the same floor level connected all though an elegant foyer. Free WiFi. 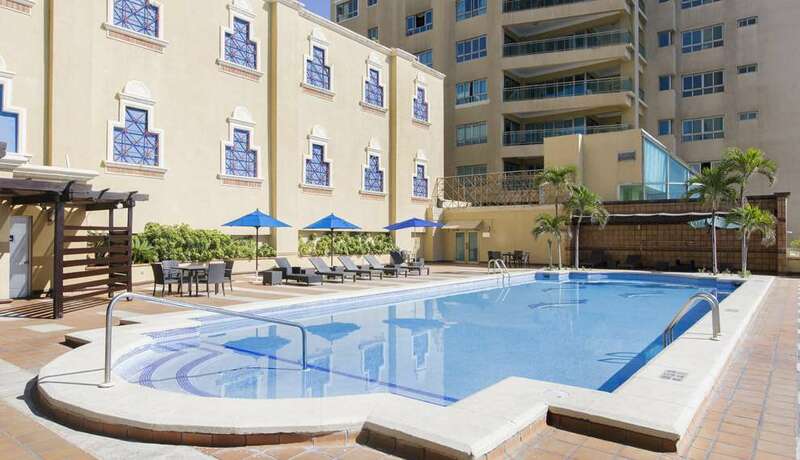 A perfect location near to the Colonial Zone, Theaters and Comercial district. Just 30 minutes away from Las Americas International Airport (AILA). On the boardwalk of Santo Domingo you will find the impressive Catalonia Santo Domingo hotel, standing right in front of the sea and affording stunning views. The hotel has 21 floors and 228 rooms, many with views over the Caribbean to enjoy the stunning sunsets. 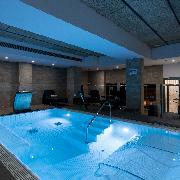 It has all the services you need to ensure a great stay whether you’re here for leisure or business. 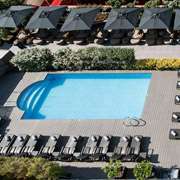 The Catalonia Santo Domingo features a lovely pool on the seventh floor where you can wind down, have a dip or enjoy a snack, in addition to a sports room, a game area for your leisure, a gym if you want to stay in shape while enjoying panoramic views and a varied food offering in the hotel’s many bars and restaurants. If you need a room for a meeting there are many spaces to hold your business events and large or small functions, and they can all be assembled in accordance with your needs. There are many options for relaxing after work, including the Executive Lounge. 30 minutes from Las Americas International Airport (AILA), just a few minutes from the Blue Mall shopping centre and the historical area of Santo Domingo you will find the Catalonia Santo Domingo hotel, where the privileged views over the Caribbean Sea and the outdoor pool are the perfect combination for a wonderful holiday or business trip. We look forward to welcoming you to the Catalonia Santo Domingo and making your stay in the Dominican Republic a pleasant one. Keen to discover Santo Domingo? Let us take care of you! In addition to hotels for events, we offer you other types of hotels so you have everything you need.